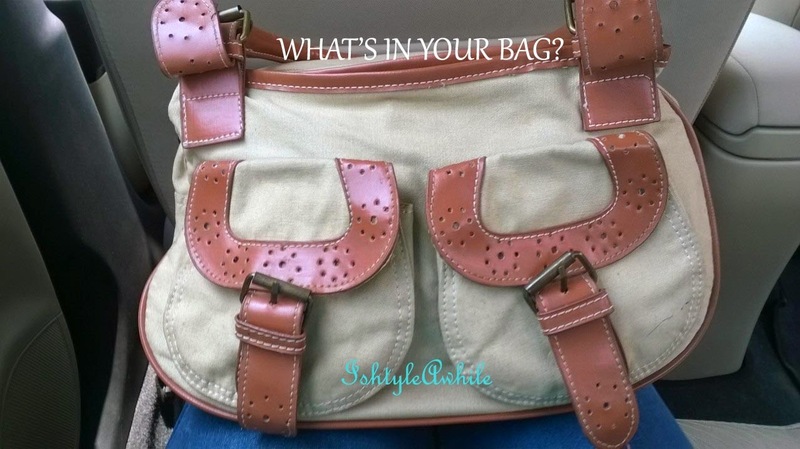 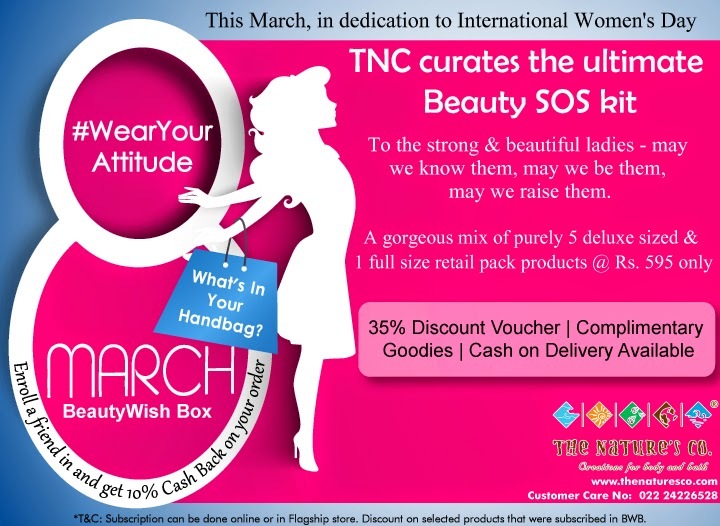 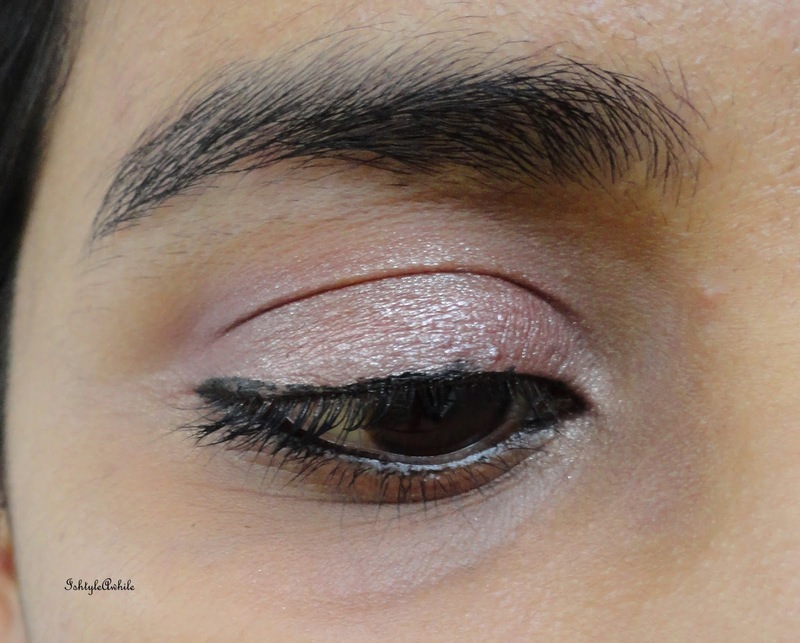 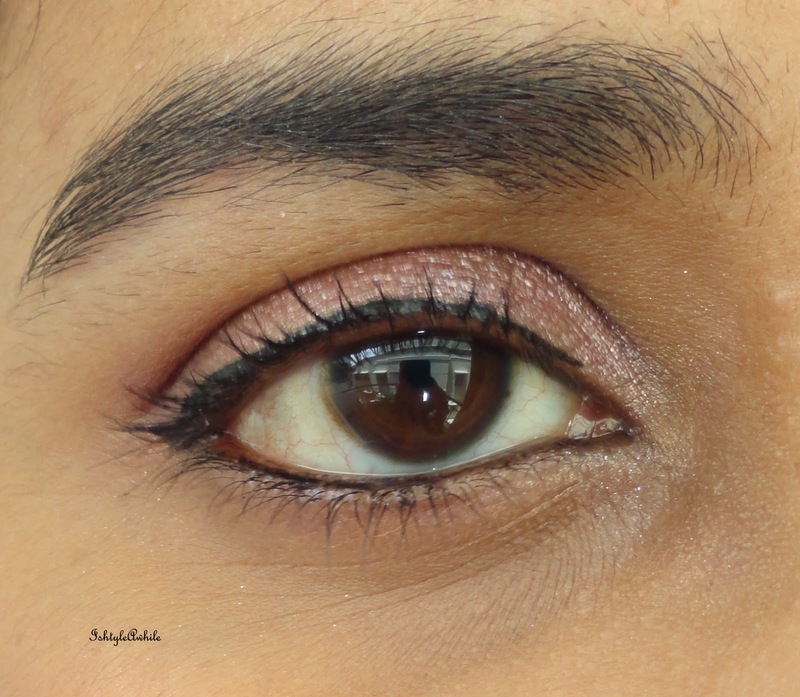 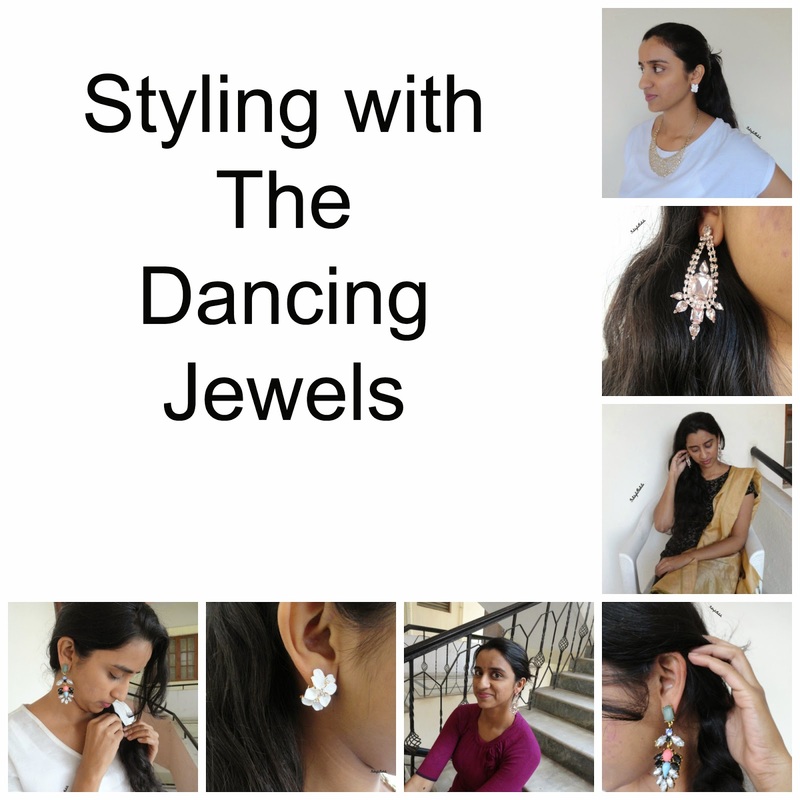 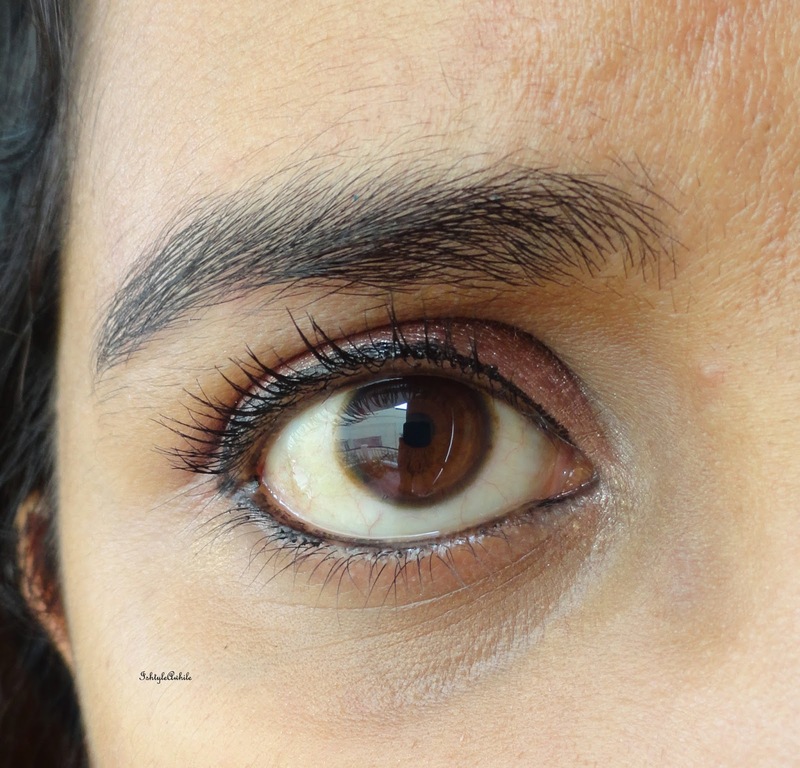 IshtyleAwhile - A Chennai based Indian Fashion Blog - EOTD: Featuring Makeup Revolution London Redemtption Palette Iconic 3. 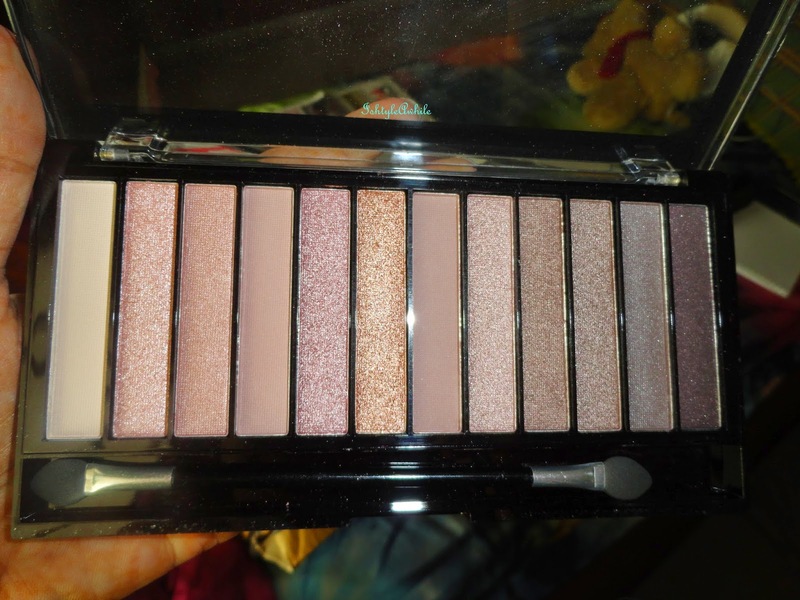 I'm sure all of you remember this gorgeous eyeshadow palette that I bought last month, well I finally got an occasion to use it. 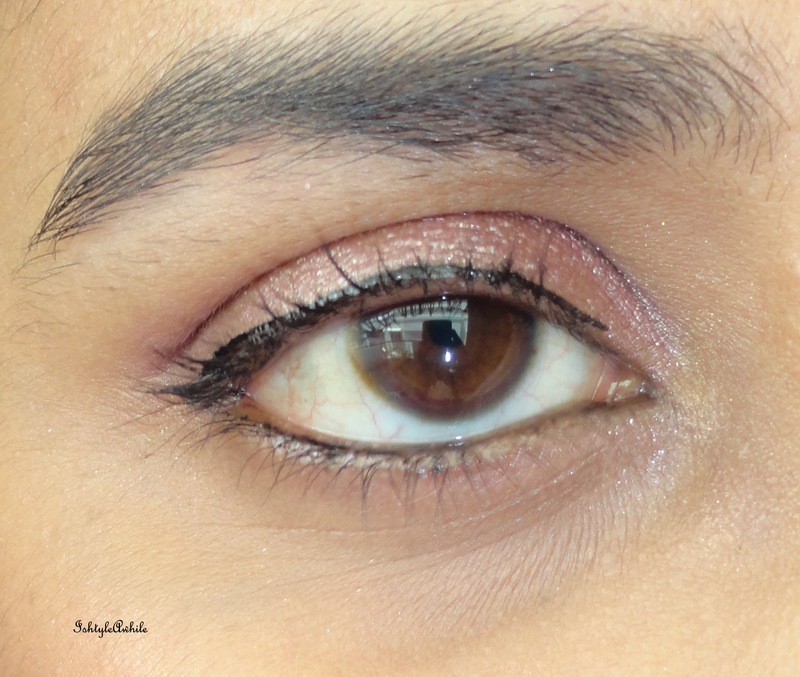 I used just three shades to create this Eye Of The Day. 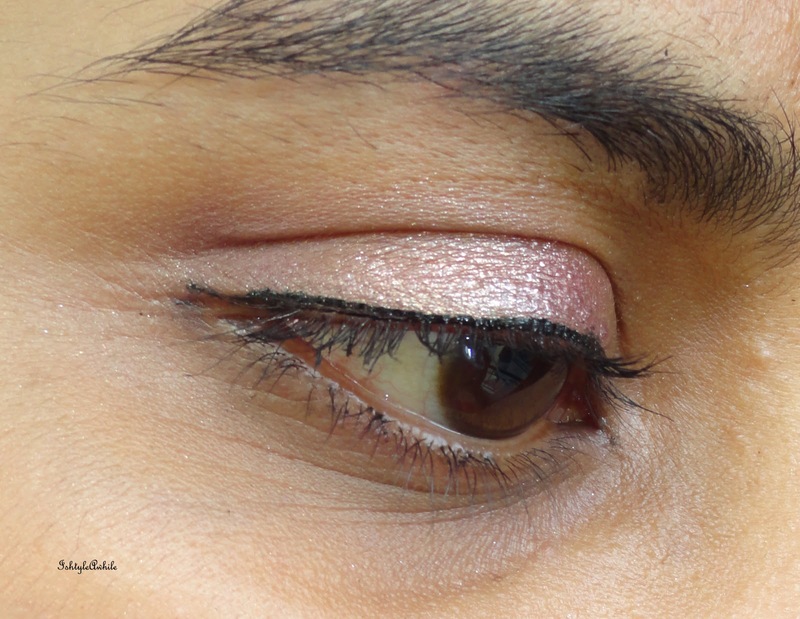 I found that the shimmery rose gold shade that I used all over the lid worked best with a wet brush and patted all over the lid. 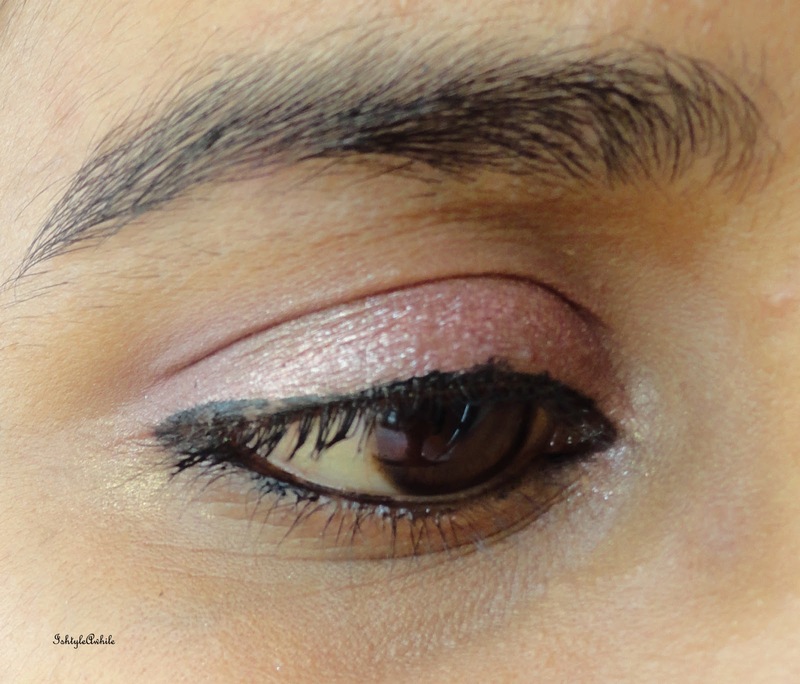 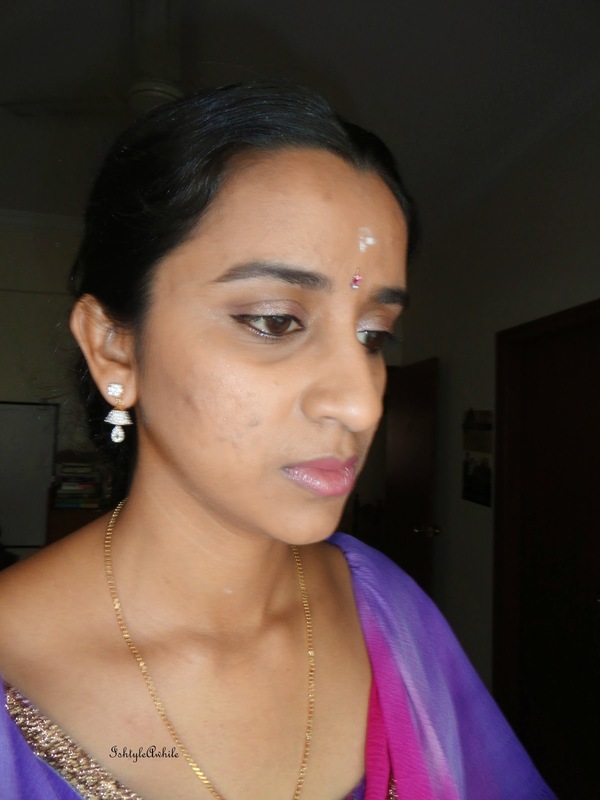 To define the crease a little, I used the matte brown colour which worked best with a dry brush. 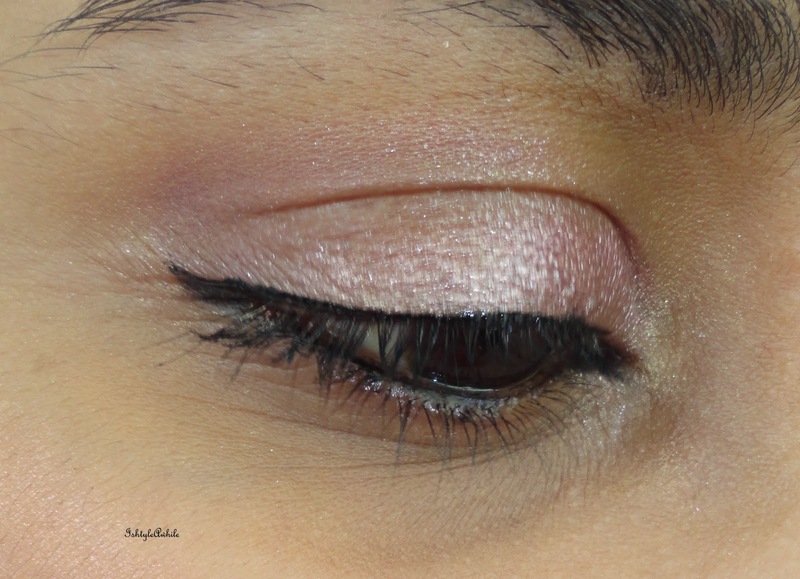 To highlight under the eyebrows I used the matte pale cream shade.